The companies in the hotel and catering industry, require a highly efficient logistics system able to quickly meet the travelling needs of this type of business. 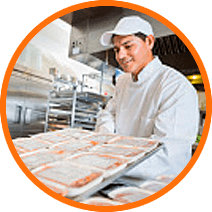 Being food a highly sensitive type of product, it is necessary to strictly control its movements, in order to provide the best quality customer service. For this reason, incorporating to your business activity a tool like Routing Reparto, which is a software specifically designed for the control and optimization of your company's vehicles movements, will mean an exponential improvement in all the aspects of your hotel and catering business. On the one hand, you will be able to plan efficiently the routes of your replenishment and maintenance vehicles, and on the other hand, you will be able to implement a tracking module that will allow you to know in real time the activity of your business throughout the day. Reduction of the distances traveled and the duration of the trip. Optimize your hotel and catering services, by reducing the duration of each trip and increasing the work capacity of your vehicles. 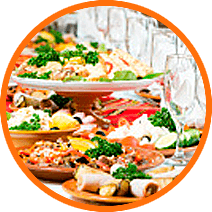 Specific calculation for the type of hotel and catering services offered by your company: weddings, conferences, supply to restaurants, public events, etc.